If pressed on what tea I drink most, I almost always say oolong. Usually a more oxidized one. I find them warming in the colder months, and refreshing as a cold-brew when the temperature rises. 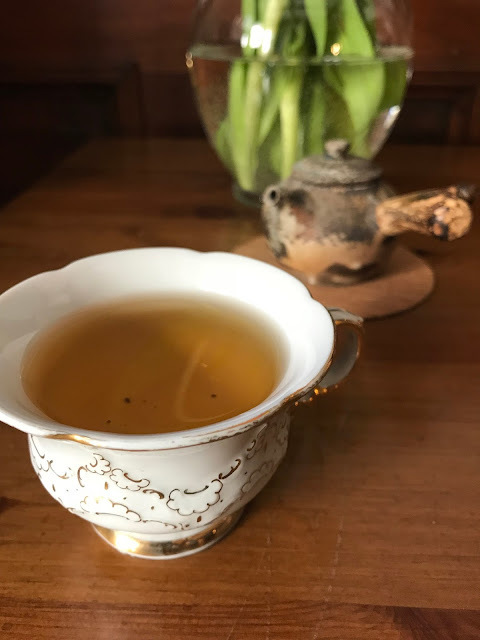 Today's review is for one of the more oxidized oolongs, Oriental Beauty Reserve from Totem Tea. It's a classic Taiwanese oolong also called bai hao, which translates to white down. This refers to the fuzzy white hairs on the buds. Bai Hao oolong is a bug-bitten Taiwanese tea. I'm sure you've read about this type of tea before. Little green leafhopper bugs called Jacobiasca formosana munch on the leaves during the summer season, which causes a chemical reaction in the plants. When bitten, the plant releases the chemicals as a defense mechanism. The chemical defense is specifically made for the leaf-hopper critters, and it turns out this process also creates a delicious and aromatic leaf. The aroma and flavor is intensified during the oxidation process of the leaves. According to Totem's website, the tea leaves are oxidized to about 60%. The cultivar for this tea is Qing Xin Dapan. For me, a good Bai Hao oolong is aromatic and fruity. This version from Totem tea definitely ticks off both boxes. The dry leaves have a muscatel-grape aroma going on, along with something earthy and fruity. Upon inspection there are quite a few of those fuzzy white buds. The steeped tea s is a lovely amber/light coppery color, and smells juicy and sweet. The first taste reminds me of caramelized...grapes? I've never had caramelized grapes before, but this is what I imagine they would taste like! It's as if the grapes were stewed with honey. Fruity, sweet, a little hint of something sour. The flavor is deep with a full body. There is also a floral note, but as if I'm chewing on a flower petal, not actually steeped in flowers, if that makes sense. I can feel the softness of the petal. As I mentioned earlier, it's got a muscatel grape aroma that is similar to a darjeeling, but it's much darker. I steeped this tea in a very small teapot, gongfu style. 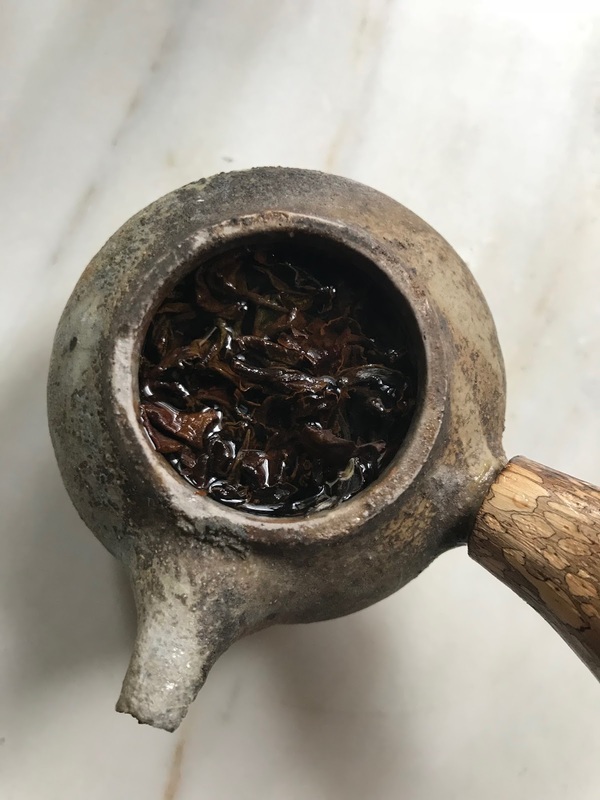 I like brewing oolongs like this in a gaiwan or small teapot, to truly get the essence of the leaves. You may need a few infusions before the leaves start to open up and tell their story. 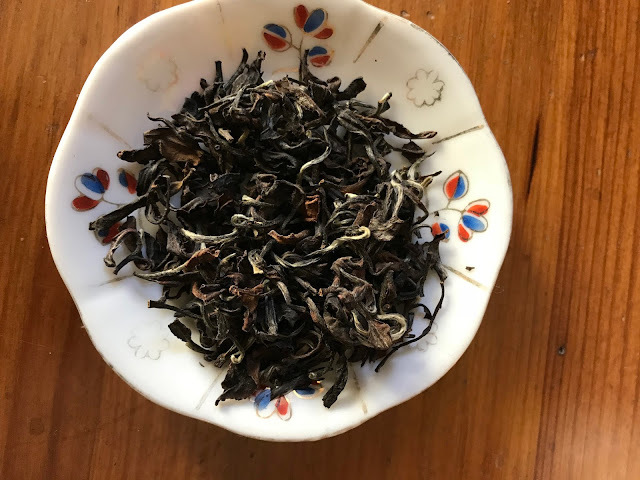 Since this tea can give quite a few steeps, I will often throw the leaves in a pitcher of cool water after my tea session, and put it in the fridge overnight. It makes a delicious iced tea, even when the leaves have been used a few times! Thank you to Totem Tea for providing this sample for review. To learn more about the tea, you can visit their website here. 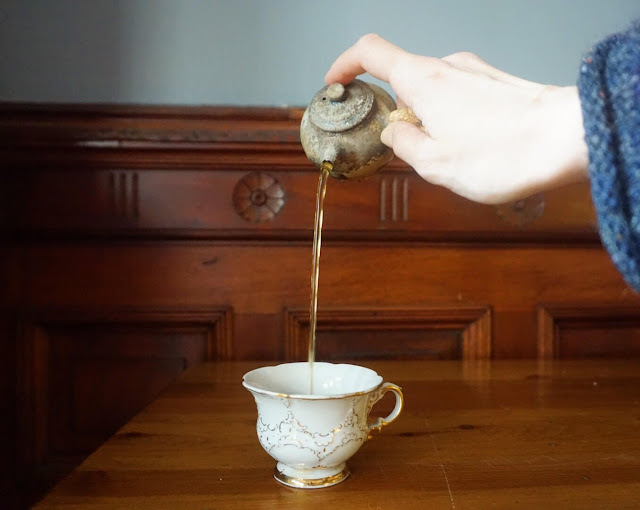 Wonderful Oriental Beauty tea review! I bet the notes are quite persistent and from what you're describing as far as brewing method, you must have a pretty balanced cup. Thank you so much Sylvana! I hope all is well with you.